July typically means celebrating our nation&apos;s independence and vacations! And in the month&apos;s July Calendar of Events we have outlined lots of local events for you! Be sure to visit our online Calendar of Events for links and more to Central Illinois events and offbeat holidays! 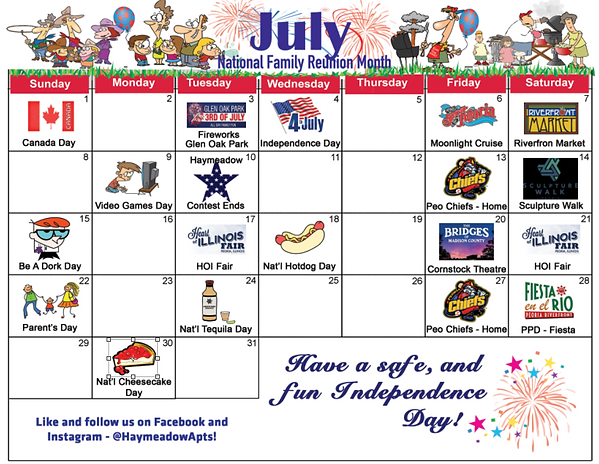 Be safe, keep cool, and have a great July!